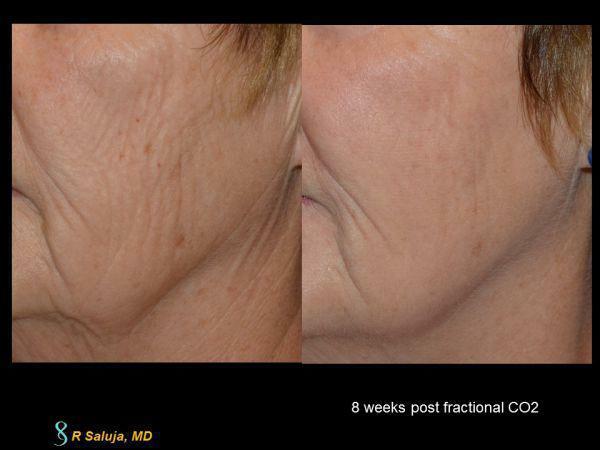 The smart skin Fractional CO2 laser improves the quality of the skin by minimizing wrinkles and reducing pore size. 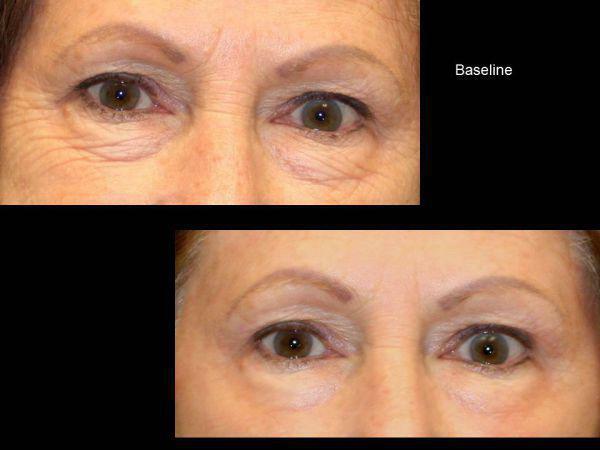 While it does not help minimize broken blood vessels (we use the Max G IPL for that), it helps to lift the eyes. The only negative is that there is a downtime of about 1-week post laser. When planned appropriately, the results can be very lovely. With time, our skin around the eyes begins to show aging in the way of wrinkles and skin laxity which results in drooping of the eyelids. 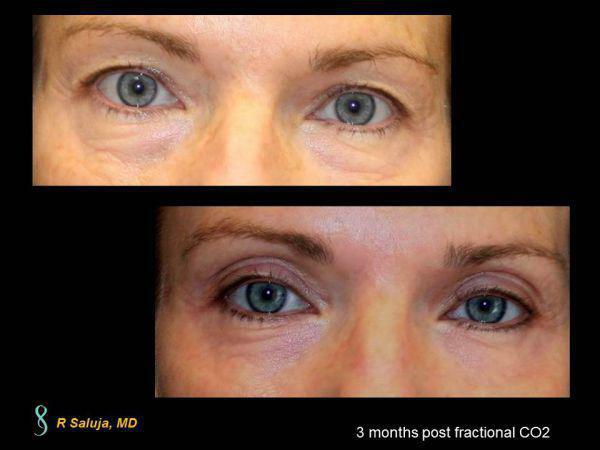 The definitive fix is an upper lid blepharoplasty, but for this Charlotte, North Carolina female who did not want surgical intervention, the zero downtime procedure which was a good option for her was Pelleve 12 minute eye lift. The photo represents her before and after 3 treatments. We typically recommend 3-5 treatments every 3-4 week for optimal results. 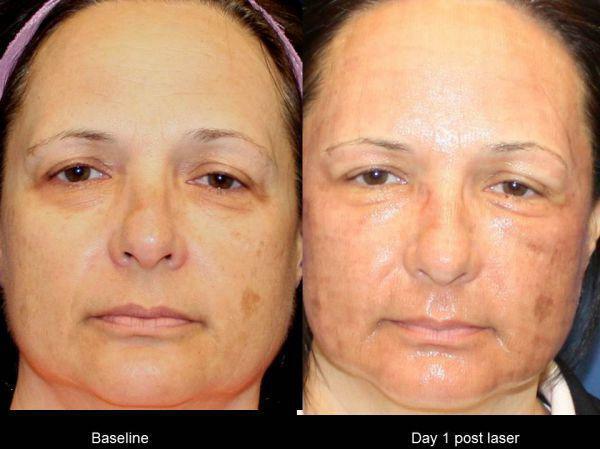 Fractional CO2 Laser Treatment can have a healing time between 4 days to 1week. Immediately post Smartskin laser, the skin will have areas of pinpoint bleeding which dissipates after several hours. It is important to keep the skin very moist with a topical emollient and use Aquaphor at night. On the first morning, the face will be swollen, especially around the eyes. Each day thereafter improvements will be visualized. On day 5, patients can return to wearing makeup, and although there is some redness, this will dissipate over the next week. Here are some healing day photos at 1-day post laser, 2 days and 1-week post laser. Some patients have minimal amounts of submental fat (fat under the chin), but have a greater amount of neck laxity and wrinkles. 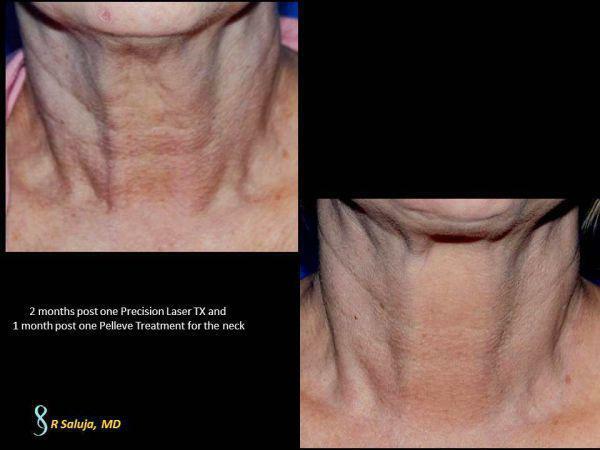 In order to improve this area, one option in Charlotte, North Carolina may be Precision Laser. The laser helps to stimulate elastin and collagen and over time, the skin appears tighter, without the need for surgical cutting.